Our partnerships and collaborations are the most critical element to the success of our organization, with some of these partnerships representing major cornerstones to Lloyd EcoDistrict programs. We acknowledge these special partners here. 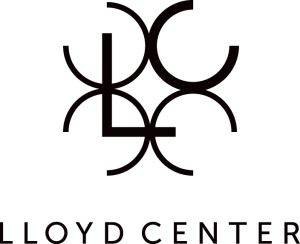 The iconic Lloyd Center – once America’s largest malls and a model for retail centers across the country – is a 1.2 million square-foot mixed-use lifestyle, shopping, and entertainment center centrally located in the Portland Metro area. Recently acquired by one of the premier retail management firms in the nation, the mall is undergoing a $120 million renovation that has seen the completion of a new food court area, overhaul of the historic ice skating rink, and remodel of the signature three-story spiral staircase – a tribute to Lloyd Center’s rich past. Planned additions include a new 16-theater cinema, live music venue, and expanded local restaurant options. Renovations at Lloyd Center highlight a broad renaissance for the surrounding neighborhood, which is growing to include new housing options, restaurants, and office/retail space. Lloyd Center is anchored by Macy’s and accompanied by a strong mix of national retailers including, H&M, Ulta, Victoria’s Secret, Loft, and Marshalls. Lloyd Center is owned by an affiliate of CAPREF Manager, LLC, which manages a private equity fund in excess of $1.2 billion and encompasses a portfolio of 5.8M square feet of retail and mixed-use properties across the United States. Visit www.lloydcenter.com for more information.